Adding extra bite to that heady mix of rock, ruck and rumble is Singapore’s iconic beer since 1932, Tiger Beer. This marks the first time that APB Singapore is supporting the event through its flagship brew. On the partnership, Ms Venus Teoh, the head of marketing at Asia Pacific Breweries Singapore says, “Tiger Beer is proud to be the Official Beer of the HSBC Singapore Rugby 7s. 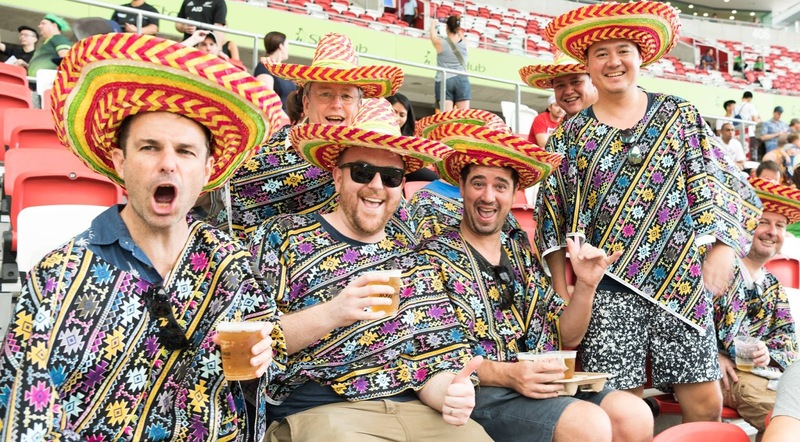 As Singapore’s national beer, we support the biggest and best events in our backyard, and the HSBC Singapore Rugby 7s belongs in that category. Born and brewed in Singapore, Tiger Beer is now enjoyed across more than 75 markets globally. 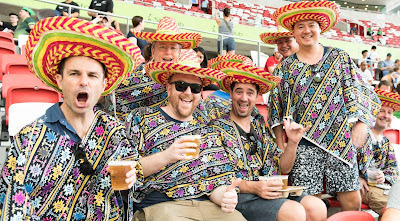 We look to bring this spirit of tenaciousness and bite to the HSBC Singapore Rugby 7s, and are excited about the world-class sporting action on offer”. Mr Low Teo Ping, Chairman of Rugby Singapore, welcomed the partnership with APB Singapore. “Our HSBC Singapore Rugby 7s tournament isn’t just about the rugby,” said Mr Low. “It’s an always on entertainment package that allows fans to rock, ruck and rumble for two fun-filled days. In Singapore visiting fans can enjoy our very own Tiger Beer, try delicious cuisines, sample the amazing shopping, groove with the vibrant nightlife and the island’s other attractions – each a fabulous complement to the rugby experience we offer”. Clarke Quay, with its fantastic array of international dining, leading dance clubs and live music bars, has something for every taste. Mr Low added: “We had nearly 12,000 overseas visitors over two days in 2016, and are targeting a count of over 8000 visitors daily over the 2 tournament days this year. We needed to find a place for overseas visitors, as well as fans from the stadium to gravitate to for a great time, and the partnership with Clarke Quay was an absolutely perfect fit”. This year, Rugby fans can enjoy a thrilling weekend of fun and great tunes at Music After 7s, a three-day music festival featuring some of Clarke Quay’s best DJs and live bands. Kicking off the weekend are DJ Slick and DJ Reiko from f.Club on 14 April. In the evenings of 15 to 16 April, revelers can enjoy electrifying performances from Jukeleles, Shagies, Accento, 3AM Band and many more at Clarke Quay Fountain Square. Rugby fans with rumbling stomachs can expect great discounts and privileges at participating outlets in Clarke Quay simply by showing their Singapore Sevens tickets. Getting to Clarke Quay after the Sevens is a breeze with free shuttle services from the National Stadium on 15 and 16 April, from 7.30pm. The tenants of Clarke Quay see massive value in the HSBC Singapore Rugby 7s, and visitors generating a steady flow of traffic to the restaurants, clubs and bars, where memorable moments can be made at each venue. 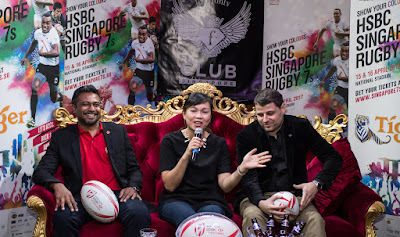 One such venue is F Club Singapore who is hosting the official After Party venue for the HSBC Rugby Sevens. Boasting the finest champagne and spirits, premium bottle service and two party areas – the Ruby Room which plays Hip-Hop, R&B and chart topping remixes, and the Diamond Hall which plays vocal house and progressive house music. Two-day tickets (Category 1, Level 100) for the Singapore 7s are priced at SGD 150 for adults, SGD65 for youths aged 12 to 18 years old and SGD 65 for children below 12 Category 1. 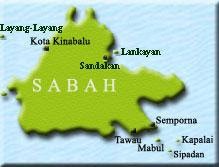 Family packages (Category 1, Level 400) start from SGD 140 (one adult, one child), SGD 180 (one adult, two child) to SGD 260 (two adults, two youths or children). Those who prefer exclusive hospitality can select the Sevens VIP Club package priced at S$1,600 for two days of world-class rugby and live entertainment. Asia Pacific Breweries Singapore (APB Singapore) is the home of the world -acclaimed Tiger Beer – a Singapore icon born and brewed on local soil since 1932. Tiger Beer is now available in more than 75 markets around the world. In addition to Tiger Beer, APB Singapore’s portfolio of beers includes ABC Stout, Anchor Beer, Baron’s Strong Brew, Guinness, Heineken and the range of Archipelago craft beers. To create great beer experiences for all occasions, APB Singapore also boasts a wider portfolio of products which comprises Bulmers, Desperados, Erdinger, Guinness Draught, Kilkenny, Kirin, Sol and Strongbow. APB Singapore is an operating company of Heineken. Located along the iconic Singapore River at the fringe of Singapore’s Central Business District, Clarke Quay sits on a historical commercial site dating back to the 19th Century. Today, Clarke Quay has been boldly restored and refurbished into five beautiful waterfront godowns under a climate controlled canopy illuminated by coloured lighting, creating a modern and cosmopolitan ambience amidst the tradition and history. Owned by CapitaLand Mall Trust and managed by CapitaLand Mall Asia, Clarke Quay plays host to a wide array of over 60 restaurants, wine bars, and entertainment outlets, attracting about one million visitors every month. Clarke Quay was crowned Singapore’s best nightspot at the 2014 AsiaOne People’s Choice Awards, organised by AsiaOne, Singapore’s leading news portal. Clarke Quay was awarded the 2015 Certificate of Excellence by TripAdvisor and identified by TripAdvisor as one of 50 iconic places to visit in Singapore, based on the travel website’s data on the most-reviewed attractions and eateries. 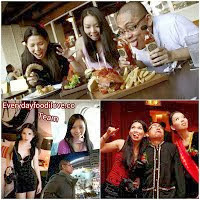 F Club Singapore is a club situated in the heart of the party district in Singapore, Clarke Quay. FashionTV is an international fashion and lifestyle broadcasting television channel offering a review of global fashion. F Club Singapore has partnered with FashionTV, to present Singapore's only fashion-themed club, which operates in Clarke Quay, adding glitz and glamour to the city’s night life and party scene. 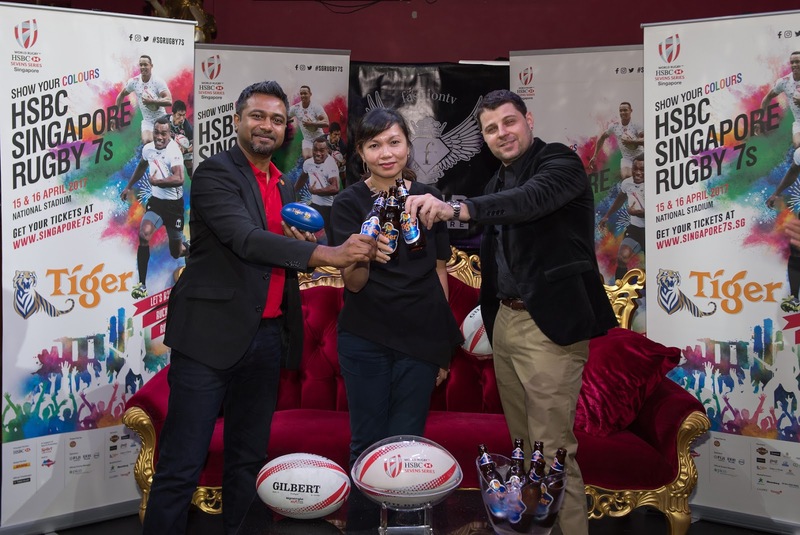 In a first for a National Sports Association, Rugby Singapore was created in 2015 to act as the special purpose vehicle to handle commercial matters and events for the Singapore Rugby Union (SRU). With a board of directors of veteran sports administrators and an A-list team of sports industry professionals, Rugby Singapore serves to protect stakeholders’ interests and to mitigate any risks in events promotion. Besides managing the Singapore Rugby 7s and ensuring its long-term commercial viability, the company will look to add other projects into its portfolio.